Devouring Radiant Light sees Skeletonwitch shaping their blackened thrash metal into a more atmospheric form without sacrificing any of its bite or impact. Blackened thrash/melodic death metal band Skeletonwitch from Athens, Ohio have been a force to reckon with in the metal scene ever since their 2004 début At One With the Shadows. From their humble beginnings, they’ve grown into one of the fiercest acts in the realms of black/thrash/death metal, their epic, melodic, and unrelentingly aggressive songs garnering them a devoted legion of fans all over the globe. Their new album Devouring Radiant Light, the second release with new vocalist Adam Clemans at the helm, provides a few surprising tweaks to their formula, so before you enter this review written by staff writer Jake and yours truly here, please leave any and all pre-rendered judgements about it at the doorstep. When I listen to an album for the first time I tend to notice small details first. When I pressed play on Devouring Radiant Light, the new Skeletonwitch album, I noticed the intensity of the drumming right away. The first song on the record, “Fen of Shadows”, is in general a more melodic and atmospheric song than we’re used to from this blackened thrash outfit, but the energetic drumming is still there in spades. Along with all of this great drumming, new vocalist Adam Clemans is firing on all cylinders, and the guitars are humming in unison. This isn’t quite the Skeletonwitch that we remember, but the changes made to the band’s formula work extremely well. “When Paradise Fades” and “Temple Of The Sun” remind the listener that the thrash hasn’t been removed from the band’s DNA, but this is meatier and heavier than we’ve experienced before. The title track sees things slow to a moderate pace, but there are swelling melodies and instrumentation that make “Devouring Radiant Light” an incredibly rewarding listen. As far as the sonic structure of this song goes, it’s right up my alley. While I enjoy the fiery tempo of the thrashier tracks on which Skeletonwitch built their brand, I connect with these sounds much more. A band changing up their sound can be a bit dodgy, but the slight wrinkles that they are mixing into their formula are working incredibly well. Adding more substance is always welcome, especially when it’s executed to this level. While discussing each song on an album is tedious, I can’t write this review without discussing “The Vault”. Clocking in at a few seconds under nine minutes, this is a layered, progressive masterwork of a song. Beginning with some post-metal in the vein of Mountaineer, the song moves into some thrash, groove, and even a few little technical moments. It’s damn impressive. It’s an epic track that is boisterous and flashy but is grounded by the vocals and impeccable lead guitar work. This song ends up being a bit of a hub off of which every other thematic event on the album proceeds. It’s a perfect centerpiece that deserves a spot on many song of the year lists. I literally have no complaints about Devouring Radiant Light. There are equal parts style and substance, and it’s one of the most dynamic metal records of the year. The grander moments are well-executed, and the blackened thrash has lost none of its edge. Skeletonwitch have long been a band that I have admired, and their stock rises to new heights with this release. You simply don’t want to miss what they’ve accomplished here. Before we get into the actual music, let me say this: I can’t stress enough how matching of a title Devouring Radiant Light is given the tone and musical direction of the new Skeletonwitch record. Whereas their earlier work evoked visions of a battle-hardened warrior riding into combat on a tiger, his glistening sword proudly lifted to the rising sun, this one sounds like an evil sorcerer who lays hidden away from the eyes of mankind in a damp, sinister cave, devouring the world’s light and life-force to fuel his devastating magic. 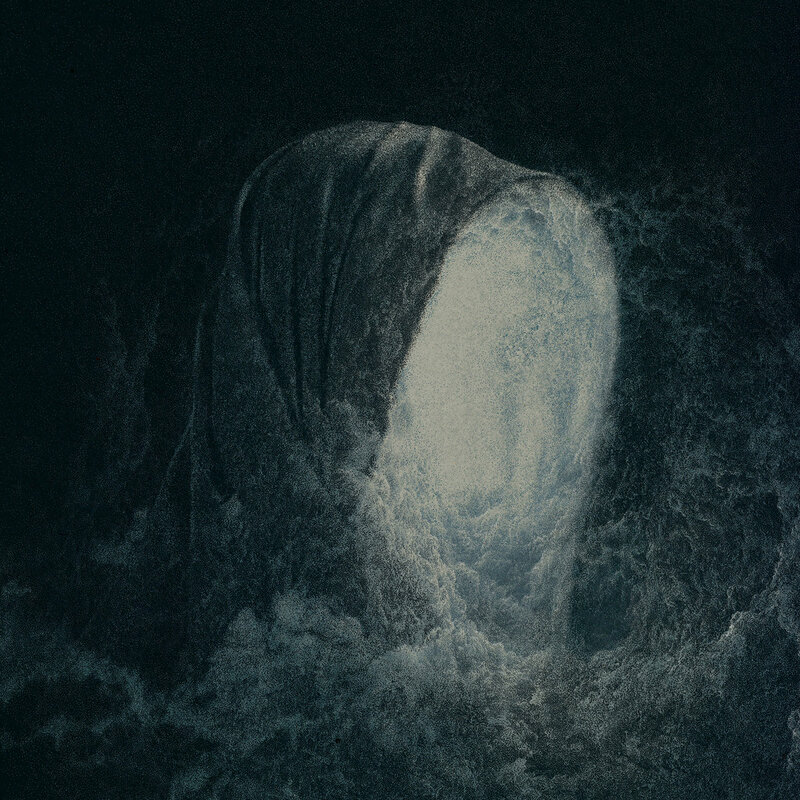 There’s still a familiar aura of might and impending annihilation surrounding it, but it’s much more atmospheric and nuanced than either Skeletonwitch record before it. In hindsight, first single “Fen of Shadows” was an accurate foretaste for what was about to come with Devouring Radiant Light. Taking its sweet time in the build-up, which trades in the usual epic NWOBHM leads for a more somber sound, the song spends its first 1:50 minutes establishing an atmosphere instead of jumping right into the fray, guns (or rather guitars) blazing. Things do get a lot more belligerent afterwards, but even then the band take their foot off the gas on occasion, profiting from the dramatic effect of the ebb and flow between calm and cantankerous. Skeletonwitch haven’t simply taken out the broad brush to veneer their more straightforward proclivities, though; the songs still have a lot of bite to them. “When Paradise Fades” is a good example of that. It kicks in the door straight away, wasting no time on exposition and instead riffing away as if its life depended on it. It’s as close to classic Skeletonwitch fare as you can possibly get, which only goes to show that the important thing about this record is not what happens instead of the thrash, but rather what happens alongside it or in the background. Take the rough clean vocals and wonderful bass-driven section in “Temple of the Sun”, the progressive tendencies of “The Vault”, or the astonishing guitar solo in “Sacred Soil”: this band is not trying to eradicate their core sound, but to enhance it with new and exciting ideas. The task of adding new facets to an already well-established musical identity can be a fickle mistress, but the compelling way in which these four gentlemen pulled it off gives me great hope that it’s not impossible. With the confidence befitting a group of weathered metal veterans and a keen sense for meaningful progression, they dared to tread new ground without abandoning their past. So while Devouring Radiant Light may not be my favorite Skeletonwitch record (my heart still belongs to Beyond the Permafrost in that regard), it most definitely is one of the best metal offerings I’ve heard all year. Previous PostA SCENE IN RETROSPECT: Mew - "And The Glass Handed Kites"